American Idol judge Luke Bryan defends Katy Perry when it comes to her kiss seen around the world with a young, shy contestant. 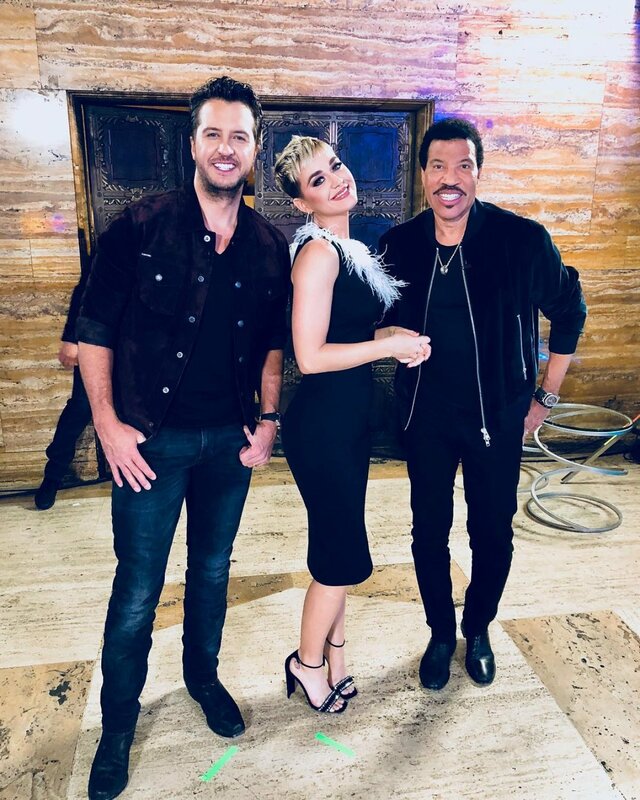 Luke revealed on Australia's The Morning Show that Katy's little kiss with auditioner Benjamin Isaac Glaze, a 19-year-old Oklahoma cashier at the time, was blown way out of proportion. "It's unfortunate that stuff like that turns into a story that big," the country crooner, 41, said. "I watched an actual interview where Ben, the kid that was involved, said that he was cool with everything." During the premiere of American Idol's revival on ABC, the judging panel asked Ben whether he's ever kissed a girl in reference to Katy's smash hit "I Kissed a Girl." After Ben admitted he had no experience in that area and was waiting to be in a relationship to have his first kiss, Katy asked him for a peck on the cheek -- only to quickly turn her head and plant one on his lips. Ben appeared shocked and bewildered as the judges giggled, cheered and clapped. But Ben then admitted to The New York Times the kiss was "a tad bit uncomfortable" and unwanted, which sparked criticism in light of the "Me Too" movement that he was disrespected and had a sexual act forced on him. "I've got to back Katy on that," Luke told The Morning Show. "She's in there working hard and making fun TV. We are going to get it right sometimes and get it wrong sometimes." Ben, however, addressed the concerned and angry people by clarifying on Instagram he did not feel sexually harassed by Katy. "I am not complaining about the kiss from Katy Perry at all... My true intentions are not accurately represented in every article you read about the situation. I am not complaining about the kiss, I am very honored and thankful to have been apart of American Idol," said Ben, now 20, who did not advance to Hollywood after performing "Levels" by Nick Jonas. "I should have picked another song to sing and calmed myself down regardless of the kiss. I should have been able to perform under pressure." Luke explained American Idol viewers can't expect the judging panel -- which also includes Lionel Richie -- to be perfect all the time, and he expects to receive a little criticism here or there. "We're in there critiquing people. I may say something one day that everybody's not going to like," Luke acknowledged. "That's just what you signed up for. But at the end of the day, me and Lionel and Katy and Ryan, our hearts are in the right place... I'm loving the opportunity to be working with Lionel and Katy. It's been a really, really amazing experience thus far." Ben did, in fact, find a girlfriend shortly after auditioning for American Idol in October 2017. And in a recent interview with Inside Edition, Ben gushed about finally having experienced his first real and sincere kiss. "It was incredibly special," Ben said of his smooch with current girlfriend Carrie. "Katy Perry was my first kiss, but Carrie was my first kiss in a real way. If you really sat me down and asked me, I would tell you about how our first kiss was and it was just as special as I wanted it to be." Carrie also apparently doesn't mind that Katy got to him first, as she told Inside Edition it was "cool" and "great" Ben got to kiss a celebrity.